The presidential ambitions of the infamously well-known Dominique Strauss-Kahn were dealt a seemingly fatal blow following his brush with a chamber maid in a New York hotel back in May, but today it was announced that another smooth silver-haired Dominique was throwing his name in the hat for the French presidential race. 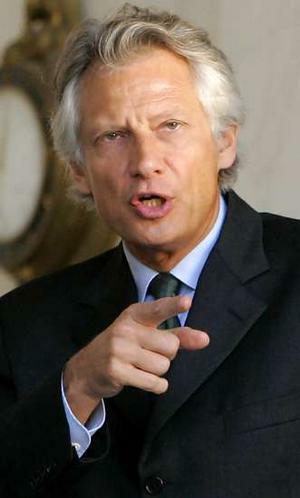 Former minister Dominique de Villepin announced that he would be making a push to become the 6th President of the French Republic since Charles de Gaulle changed the constitution following the Algerian Crisis and thus gave the head of state of France executive powers that make the French Republic unique in the EU. ‘DVP’ says that he is hoping to unite “all the French people; those of the left, those of the right and those of the centre” in his first presidential candidacy. In a televised interview with Claire Chazal of state television channel TF1, he described himself as a ‘Gaullist… running on an independent Republican ticket’. So far, any official estimates of public levels of support put him at around 1%, but that was before he announced that he was actually in the running. Former deputy and Villepin supporter Jacques Le Guen reckoned that such estimations were “ridiculous” and that his preferred candidate was certainly “worth more than that.” Another supporter of long standing underlined the next immediate challenge required in obtaining the famous 500 signatures required, as well as the considerable sum of money required to fund the election campaign. This is refunded to the candidate upon he/she obtaining 5% or more of the vote. “It’s a very costly business, but I’m counting on the French people,” announced DVP on Sunday. As for the signatures, he already has “a certain number of them”, according to campaign supporter Jean-Pierre Grand. The emergence of Villepin as a front runner has come as a surprise to a number of political observers, many of whom had expected the 58-year-old to throw his weight behind another presidential hopeful, such as François Bayrou, who has also declared his intention to run in next years election. On paper, his credentials are impeccable, having served as Interior Minister, Minister for Foreign Affairs and as Prime Minister. He was born in North Africa and also spent some of his formative years in Venezuela and New York, giving him fluency in three languages. However, he comes to the table emanating the faint whiff of scandal. In the scandal that became known as l’Affaire Clearstream, Villepin’s name appeared on a list given to prosecuting judges implicating a number of government personages who had allegedly pocketed some kick-backs from an arms sale in 1991. Another name on the list was that of current president Nicolas Sarkozy and there are those who suspect that the entire exercise was orchestrated by Villepin in an attempt to discredit Sarkozy. It was Villepin who publicly accused Sarkozy from the dock of political machinations against him on the first day of the Clearstream trial. 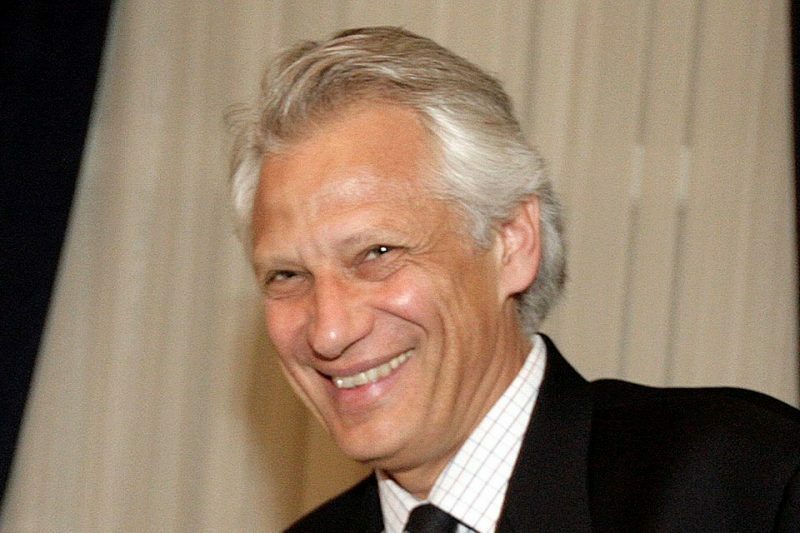 De Villepin was exonerated in the affair, but both he and Sarkozy have been accused in another arms-sale-kickback affair from the mid-1990s that has become known as the Karachi Affair, as well as an additional allegation allegedly involving Villepin in embezzlement in the prestigious hotel/restaurant group Relais & Chateaux. Although they are from the same political family, Villepin and Sarkozy are the bitterest of rivals and Villepin has continued to snipe at his President from the sidelines, raising the feeling amongst many of France’s citizens that his announcement is no more than another act designed to get up Sarkozy’s nose and spoil his own presidential party rather than a serious presidential campaign. Whether Villepin’s move is a genuine act or just the latest incident in a very public row between two political rivals remains to be seen.